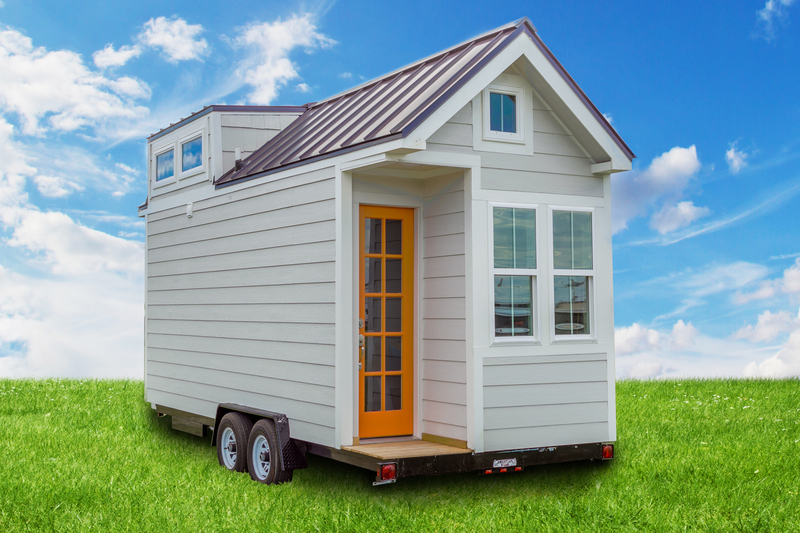 Where can you park a tiny house in Florida? Some tiny house owners are looking for a nomadic, off-grid or remote experience while others are seeking a community of like minded individuals. For the time being permanent and long term parking for tiny homes is still a area that could improve drastically! While there are options for owning and parking on your own land, we will focus on established parks, campgrounds and communities. At Tampa Bay Tiny Homes we are excited to be working with tiny home community organizers, owners and service providers to ensure we see more communities like Circle Pond Tiny Home Community! 3400 Clarcona Road, Apopka, FL. 25525 E Colonial Dr, Christmas, FL. I am trying to find a place to park my tiny home (preferably in Martin County). Has anyone heard of any RV parks that allow them in/near that area? Keri, are you looking for permanent placement or parking your tiny home for 6 months or less? I would also consider the tampa area as well.. if you have any information I would be VERY grateful. We are looking for land to put a tiny home on do you know any company that would finance land and home in one package? Hi Nancy, If you intend to purchase land and permanently place a tiny home you are best suited building on foundation and will need to consider building codes the zoning of the property you choose to buy. We can give you more direction once you have a specific property in mind. Katie at http://www.mar-keyservices.com/author/katie-leavitt/ may be able to help you with securing a property. Regarding Circle Pond in Ruskin I believe it is open to everyone but you can can reach out to them directly for more information. 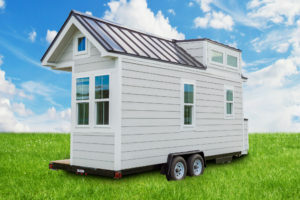 http://circlepondtinycommunity.com/ If you own the home you live in now you may be able to place a tiny home on wheels (THOW) or build and accessory dwelling unit on that property. Otherwise you can rent space for your THOW at the locations listed in this post. Hope that helps! hi, where can i permanantly put a tiny house? Elizabeth, you can park a tiny home on wheels at the locations listed in this post for up to 6 months typically. For permanently parking a tiny home you can check out Circle Pond Tiny Home Community in Ruskin or otherwise would need your own land zoned appropriately. What zoning type would it need to be? I am currently looking for land to build on but don’t know where to start. Janice, If you are building on a trailer it would be considered an RV so you would need to contact your municipality to confirm the type of local zoning that may allow for long term living in a tiny house, you may need to put it on a foundation and remove axles in some cases. On foundation you are concerned more with minimum sq footage codes than zoning issues typically. Thanks! Hi! We recently won a 20′ THOW, from the Incredible Tiny Home builders in Newport, TN. We currently live in Naples, FL, and would like to stay either in Collier, Lee, or Charlotte Counties. I know this is “way south” of what you’ve published, but might you know of any places where we can park (and live) permanently, in these three counties? Any help will be greatly appreciated, actually, as we are new on this journey! Congrats Ralph! Sounds like a great thing to win! I am not aware of an actual tiny house community in one of those counties but if you find one let us know we would love to add it to our list. Otherwise RV Parks, Mobile Parks, Campgrounds and the like will be your best bet for now outside of a rural piece of land with no zoning issues. Hope that helps. I have lived in my micro house at Gracious Tiny House Park on the northern tip of Lake Okeechobee for over 2 years. So yes, you can become a full-time resident with us. We currently have 6 THOWs in our community of 3.5 waterfront acres. There are 75 RV sites in total, all having full hookups, and we are growing our Tiny Home population. We are a family run park and we focus on community, having gatherings such as pot-luck dinners, game night, karaoke, pool tournaments, fishing outings (& the resulting Fish Fry’s ! ), picnics at the tiki hut, campfires & s’mores and all kinds of stuff. We are looking for people who would be interested in a community garden too. Even with the choice of activities, it is still a laid-back atmosphere and remains quiet with a 3 mile nature walk bordering the waterway along our park. All this and still a very affordable rate. I thank the guys at Tamp Bay Tiny Homes & encourage anyone interested to check out their upcoming Informational Workshop on Feb. 10, there will even be some tiny houses there for you to tour. Thanks for the info Barbara! I’m sorry you missed the workshop! It was an open house style. Very informative, including financing, certification, models, builders. There were 4 THOWs there for viewing that Tampa Bay Tiny Homes built & has for sale. I was at a table with Rob (one of their employees). He was very knowledgable in the arena of regulations for City of St. Pete in particular since that is where he lives. He said that the only place besides RV parks to live legally in a THOW is in the back yard of an already established home, given set-backs & easements, as an ADU (Accessory Dwelling Unit). Generally speaking, in Florida, that is the most common set of parameters for most zoning areas. Call one of the guys at Tampa Bay Tiny Homes for building info, models & pricing. They’re awesome. Let me know if I can help in the tiny house park side once you get one. They don’t advertise but a couple of places in Melbourne, on US1, allow tiny houses, also check out Casa Loma there. It’s a 55 and over community there and you can buy into it. Hello. I bought a barn that I have turned into a tiny house. It is a 14×40 that includes the porch. It isn’t on wheels. Where could I permanently park it? Or would I need to build a trailer under it so it could be on wheels? Does it have RV hook-ups or tanks? 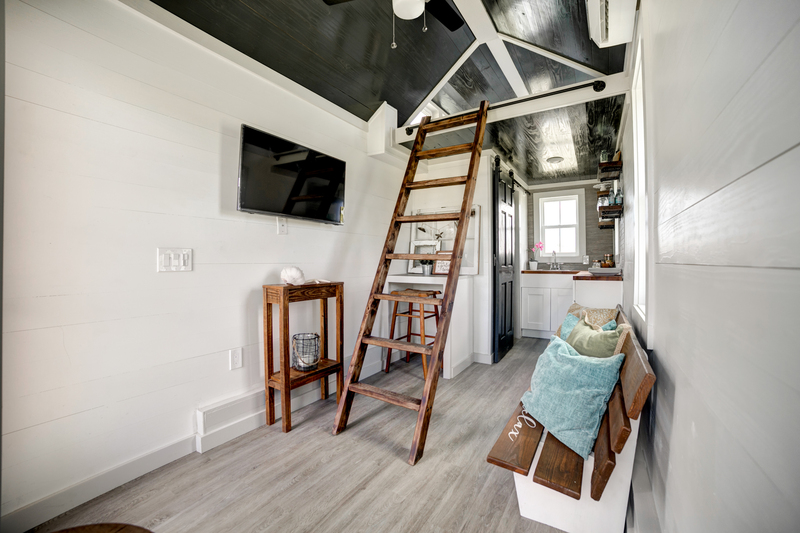 For transporting the tiny home, we would recommend reaching out to a transportation company to see what they could do for you being that it isn’t on wheels. Feel free to give us a call is you have any additional questions 727-286-0934.
we live in Parkland Florida in a community where rvs and trailers are allowed, our home is on 1.5 acres of land and i would be interested in hosting a few tiny homes on our property. especially if its on wheels to avoid having to pull any permits and such. Hi. I live in Jacksonville Florida and have been wanting to build a tiny home we are a family of 5. Where in Jacksonville could I do this and live permanently? I don’t really care if it has wheels or not. I saw on the list Heckscher but they only do adults during the week and no kids. I would like to Not live on a campground if possible. If you do not care if the home is on wheels or not you can build one on a piece of property you own. I would check with your local zoning department to see if there is a minimum sf that the home would have to be built to. I live and work in Tampa. Does anyone know if there are places to put a tiny home in Tampa or in St. Pete? You can park a Tiny Home in most RV Parks, you would just have to find the one that fits your needs best. There is also a tiny home community in Ruskin called Circle Pond that you can check out. I live in OH, and doing some research about living tiny. Maybe a camper, or tiny home. I want to move to FL. I need some info on where I can park a camper or tiny home, all year around campground, Or even rent on someone’s property. I need some contacts, or a web page I can talk to people. The list here is a good place to start. If you know which city you would like to live in, you can call local RV parks and see what they may have available for spots. Different parks will have different amenities and some are age restricted.